Join us on one of the most famous treks in the world, the magical and spectacular trek to Everest Base Camp (5,300 metres). “I would love you to come and join us on this breathtaking walk through the heart of the Nepalese Himalaya. Nothing can prepare you for seeing the beautiful, awe-inspiring mountains of the Himalaya for the first time, and Everest has a special magic all of its own. Everest will take your breath away. Everest isn’t just the highest mountain on the planet, it’s beautiful! Spring is an exciting time to visit Everest Base Camp as there are many expeditions there at this time of year, and by the time we arrive climbers from all over the world will be getting ready to go up the Khumbu icefall for the final time, as they make their attempt to climb to the summit of the world’s highest mountain. Autumn is equally beautiful, as the colours are stunning and the air is clear and crisp. Base Camp at this time is calm and serene, with no trace of the melee of the springtime. Instead there is the space and peace in which to fully appreciate the breath-taking scenery, always dominated by the presence and majesty of Mount Everest herself. I have made the trek to Everest Base Camp about 10 times and it never palls. I can’t look at the beautiful summit pyramid of Everest without remembering the moment I stepped onto that small table-top of a summit and looked out over the world as the highest person on earth at that moment in time. It was the end of a journey. It was a life changing moment. But for me the start of that journey was the trek to Everest Base Camp, through the Khumbu Valley, the lands of the Sherpa people. On this trek you will be staying in mountain lodges and you will experience first-hand the warm hospitality of these lovely people. In this timeless mountain country, you will forget that newspapers and television exist as you experience a simpler way of life, in the shadow of some of the world’s highest and most beautiful mountains. It truly is an unforgettable trip. The Everest Base Camp Trek is suitable for reasonably fit walkers who are able to walk for on average 4-5 hours in a day. Some days will feel harder than others depending on the altitude gain. However you will only be walking with a light rucksack as kit bags are carried by porters. 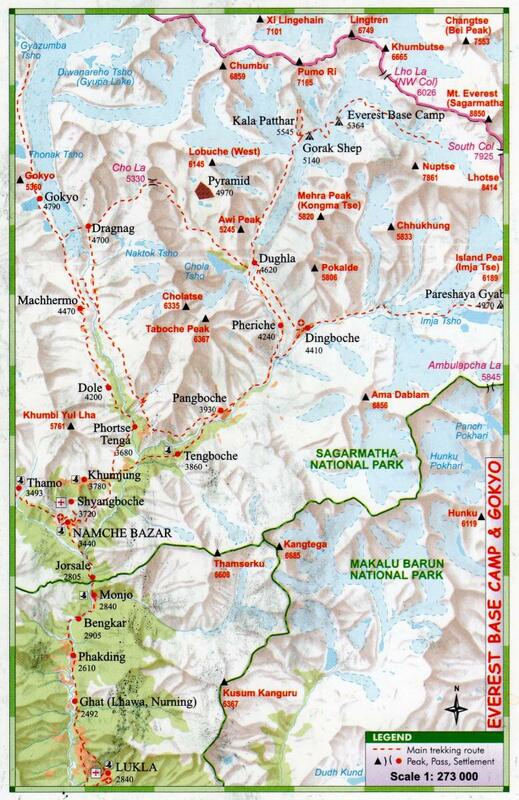 In general the trail is a good track, with the exception of the last section up to Everest Base Camp which is on rocky ground as it is over glacial moraine. Three nights hotel accommodation on a shared twin bed and breakfast basis whilst in Kathmandu. Internal flight and hotel/airport transfers. Accommodation in lodges and three meals a day during the trek. Entry visa into Nepal. This can be obtained at the airport upon arrival. Whilst every effort will be made to keep to the above itinerary, as we will be travelling in a remote moutain region nothing can be guaranteed! Weather conditions and the health of team members amongst other things mean changes to the itinerary may need to be made. Please be prepared to be flexible if necessary.